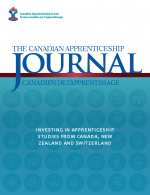 Our research addresses the needs, interests and priorities of the apprenticeship community, providing insights that inform the programs, policies and practices of Canadian apprenticeship stakeholders. Research reports and other resources in this section are available either as free content or for purchase. Members should download member-only content using their user credentials. If you are a non-member interested in purchasing content, please contact us at info@caf-fca.org. Consultations with employers are providing insights that inform registration trends and identify trades where more apprentices are needed. 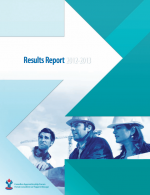 A comprehensive annual report will be available later this year. This first in series snapshot looks at data and trends for the ten largest Red Seal trades. This snapshot looks at data and projections generated by CANTRAQ and identifies areas of risk. 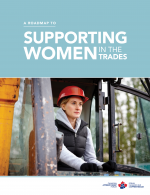 In November 2018, CAF-FCA hosted the first-ever Supporting Women in Trades Conference. This action plan outlines the priorities and areas for action identified by the more than 350 delegates in attendance. 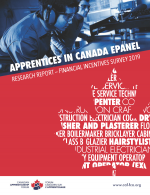 CAF-FCA implemented a survey with Apprentices in Canada ePanel members to better understand how many apprentices take advantage of the financial supports available. 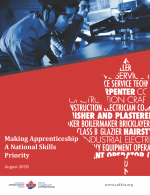 At the opening session of the 2018 National Apprenticeship Conference, delegates explored the key change factors impacting sectors and trades, and considered their implications for apprenticeship training. The Flexibility and Innovation in Apprenticeship Technical Training (FIATT) project funded ten pilots. Each pilot experimented with alternate delivery technical training. From 2015 to 2018, CAF-FCA implemented evaluation activities. This report contains highlights of CAF-FCA activities over the last year. Gain insights about the use of smartphones on the job, apprentice attitudes toward automation and technological change and what supports are required for managing these workplace realities. CAF-FCA recommendations as prepared for the House of Commons Standing Committee on Finance. This is a snapshot of results from the most recent responses from the Apprentices in Canada ePanel survey group. 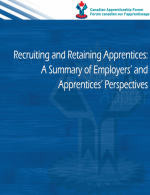 This report summarizes research findings focusing on several important themes in apprenticeship. Increasing employer involvement in apprenticeship and improving the quality of on-the-job training are strategic priorities for the apprenticeship community. CAF-FCA’s latest Apprentices in Canada ePanel survey, completed by 292 apprentices and early career journeypersons, provides important insights about apprentice experiences during workplace training. CAF-FCA wanted to understand what today’s youth, especially diverse youth, are thinking about skilled trades careers. 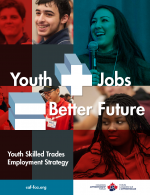 This youth-driven skilled trades employment strategy integrates feedback from youth workshop participant and their influencers. 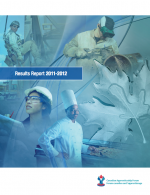 This is a snapshot of results from the Apprentices in Canada ePanel survey group. 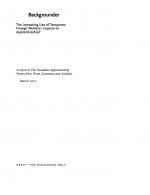 CAF-FCA surveyed 548 apprentices in blockrelease technical training. 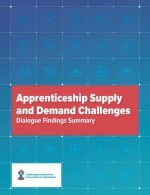 This report seeks to share apprentice insights about the block-release learning environment and the costs they incur to attend training. Participants at this roundtable session discussed how stakeholders are currently working to help newcomers to Canada address challenges, access supports and measure the impact of current initiatives on apprentice progression and completion. This report contains highlights of CAF-FCA activities from 2017. This issue of the Journal brings you six excellent articles that highlight very different approaches to addressing the issues and concerns around access to technical training. This is a snapshot of results from the survey completed by those being screened for the Apprentices in Canada ePanel. 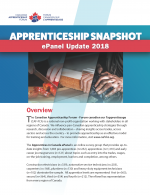 This report summarizes research findings of the last 24 months, focusing on several important themes in apprenticeship, including registration and completion trends, employer hiring practices, apprentice mobility, essential skills, journeyperson career pathways, and the importance of mentoring. Participants at this roundtable session discussed priority competency areas for apprentice success, identified gaps in youth-readiness and suggested additional supports required to encourage youth in skilled trades careers. Discussion summary of a regional roundtable on Indigenous engagement in Campbell River, BC. 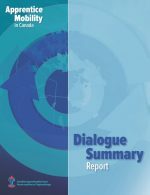 This report summarizes insights gathered at a regional roundtable held in Edmonton, AB. More than 75 participants engaged in a roundtable discussion to identify best practices and talk about what’s working across the country. 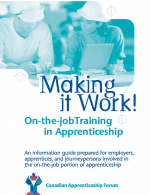 This brochure provides employers with an overview of the steps of hiring an apprentice, including the building blocks for effective training and completion. Speakers from Canada, Germany, Switzerland and the United States shared their perspectives on and experiences with building a workplace training culture. Apprentices share their experiences with learning supports and examinations. 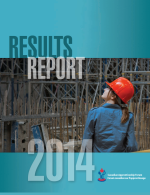 An overview of Red Seal pass rates and jurisdictional programs round out this report. 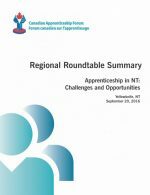 Learn how stakeholders from across Canada are doing to address eight “big issues” in apprenticeship training. Roundtable participants in Yellowknife share their views about apprenticeship in Northwest Territories, including barriers and recommendations to address them. 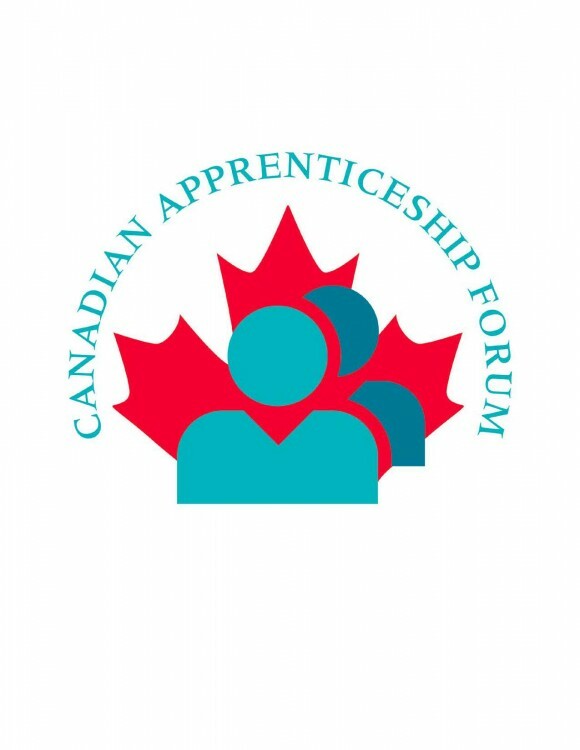 Highlights of the Canadian Apprenticeship Forum’s work over the last year. Across the country, savvy employers are building strategic partnerships and integrating Aboriginal apprentices into their skilled trades workforces. Participants at this event explored ways the apprenticeship community supports apprentices to obtain their Certificate of Qualification. 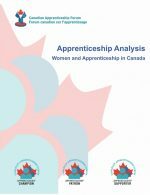 A snapshot of existing research and data on women’s participation in apprenticeship. Challenges and available programs are explored. Participants at four discussion forums discussed apprenticeship-related supply and demand challenges, best practices and recommendations. 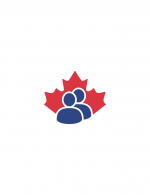 Research provides an overview of jurisdictional requirements, barriers, employer perspectives and apprentice relocation experiences. More than 100 participants gathered to discuss apprentice mobility challenges, policy changes and other emerging solutions. 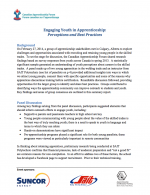 This handbook highlights best practices for recruiting, retaining and mentoring apprentices based on strategies and practices employers tell us are successful. 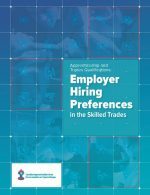 A survey with skilled trades employers yielded insights on hiring, training and the value employers attach to apprenticeship and certification. Qualifications-based labour market information provides new insights about the demand for apprentices and training gaps. Employers who hire women in trades point to benefits that make it worth challenging traditional thinking about gender and the workplace. Journeypersons shed new light on career progression in the trades, pointing to good pay, interesting work, full-time employment and job satisfaction as career benefits. 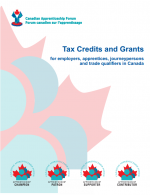 A comprehensive resource that outlines the tax credits, grants and other financial supports available nationally and in each province/territory. Event participants learned about youth programs across Canada and initiatives designed to help youth transition to skilled trades careers. 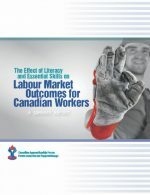 This research explores the value of literacy and essential skills for workers and better quantifies the benefits of training. 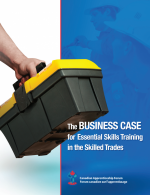 Skilled trades employers attribute increased bill-out and work rates, customer retention and new process innovation to Essential Skills training in the workplace. Participants discussed how to engage employers in hiring and training apprentices and why apprenticeship training is a worthwhile investment for employers. A national survey with educators indicates there is a strong case for connecting students to hands-on activities and accurate employment data. Event participants explored how innovative approaches to technical training stand to overcome barriers associated with block release technical training. 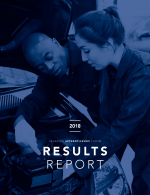 A national survey of parents explored perceptions of the skilled trades, helping to inform career awareness outreach efforts and youth recruitment strategies. This research explores technology trends and their impact on the skills required by apprentices, as well as implications for the delivery of apprenticeship training. 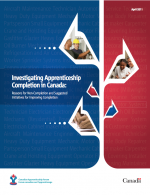 This report examines key themes affecting apprentice success in Canada and connects the dots arising from more than $1 million worth of research. 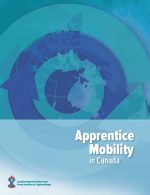 Policy brief on the barriers apprentices face returning to technical training and how the Canada Apprentice Loan might address them. 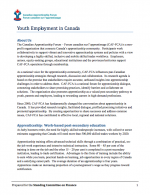 CAF-FCA identifies three areas where the federal government could have an impact regarding opportunities for youth employment in the skilled trades. 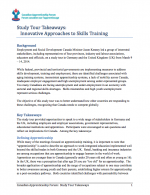 Key takeaways from a 2014 study tour on apprenticeship in Germany and England. In Alberta’s oil and gas sector, finding people with the appropriate skills, education and experience requires companies to cooperate to find sustainable solutions. Stakeholders met in Calgary to explore challenges and opportunities associated with recruiting and retaining young people in the skilled trades. In today’s skilled trades workplace, using digital tools and adapting to new technologies are a reality for many tradespeople. A national survey of students provides insights into what today’s youth think about careers in the skilled trades, informing youth engagement efforts. Is it possible to quantify the need for certified workers? 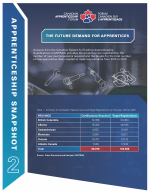 This report investigates demand across sectors to determine need for apprentices. 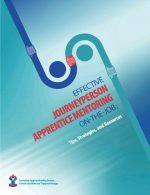 A discussion among apprenticeship stakeholders examined challenges, opportunities and best practices associated with mentoring apprentices. When journeypersons have supports to mentor apprentices, skills are acquired efficiently, workplace productivity is enhanced and turnover is reduced. As new technologies are integrated into apprenticeship technical training, there are a number of challenges associated with increasing technological demands. Employers are encouraged to consider better ways to recruit apprentices by taking advantage of existing resources. 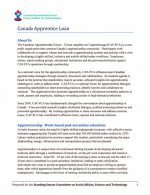 CAF-FCA identifies four major areas where the federal government could have a substantive impact regarding apprenticeship completion and certification. 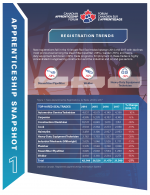 This report examines trends associated with registrations and completions, providing data analysis of the Registered Apprenticeship Information System (2010). 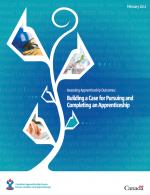 This guide provides information on how to support the development of Essential Skills interventions in pre-apprenticeship and apprenticeship programs. 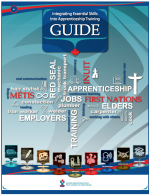 Workshops in Aboriginal communities across the country focused on Essential Skills tools and interventions that support entry into trades careers. Getting recruitment and retention right can give employers the edge to increase profits and to grow their businesses. Employers share their tips and strategies. 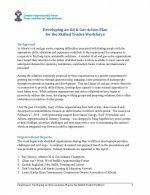 To help employers improve Essential Skills at the workplace, a series of webinars raised awareness and supported effective workplace Essential Skills programs. 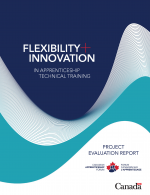 Apprenticeship stakeholders are confident that Canada’s apprenticeship training systems are positioned to create a highly-skilled workforce. 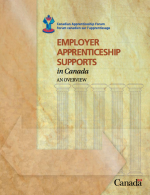 National survey results provide an overview of employer attitudes towards apprenticeship. 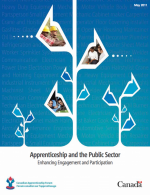 Statistics indicate public sector participation in apprenticeship significantly lags that of the private sector. Completion is one of apprenticeship’s most complex topics. Though registrations have continued to increase, completion numbers have yet to catch up. 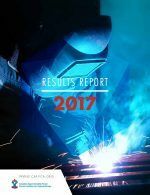 CAF-FCA assessed the outcomes of apprentices in comparison to those who pursued other educational and career paths. 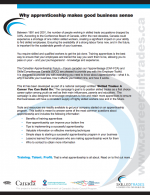 Apprentices become tomorrow’s skilled and productive tradespeople. 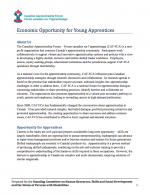 This study identifies opportunities to support employers hiring apprentices. 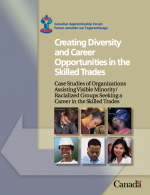 This report shares practical examples of programs that help visible minorities enter the trades. The path from secondary school to employment is non-linear for many Canadian youth. 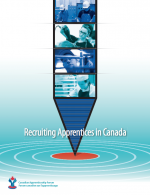 How to attract youth to the trades earlier in their career is explored. When this research was completed, the use of temporary foreign workers was not found to have had a significant impact on apprenticeship training. National Apprenticeship Survey data analysis and apprentice perspectives on challenges and solutions are shared. 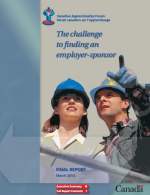 Countering the concern that apprenticeship training is a considerable cost to employers, this report analyzes the costs and benefits of training. 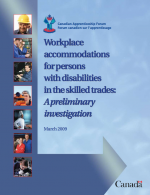 If persons with disabilities receive training and supports, they can make a valuable contribution to Canada’s skilled trades workplaces. Many Canadian employers are unaware of how apprenticeship training can improve their bottom line. Engaged employers discussed how to spread the word. 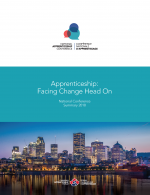 Stakeholders share their thoughts on the state of apprenticeship in Canada, as well as the challenges brought by technological change and an aging workforce. This report provides an overview of the resources available to analyze graduate outcomes. This report outlines the costs and benefits of apprenticeship for individuals who attend private training providers. 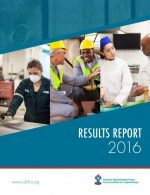 This report describes successful Essential Skills and Apprenticeship initiatives across the country. 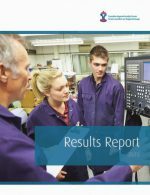 Based on a survey with apprentices in colleges from across the country, this report outlines the costs and benefits of apprenticeship for the individual. 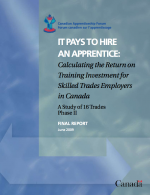 This report provides data on 15 trades, outlining the costs and benefits to the employer when hiring and training apprentices. This study sets out to identify the perceptions and attitudes of youth and their influencers towards skilled trades and apprenticeship. 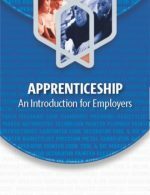 This resource acts as a guide for employers considering the establishment of an apprenticeship program, with tips, tools and worksheets. 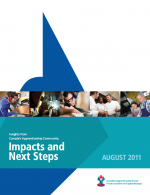 This report identifies the major barriers that prevent individuals from pursuing and completing apprenticeship training. 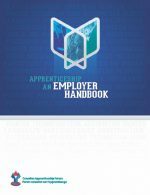 This guide helps workplaces clarify the roles and responsibilities of the apprentice, the supervising journeyperson and the employer.